In the year 2039, global warming has caused a sudden rise in sea level, leading mankind to lose a great deal of land territory. At the same time, a fleet of mysterious warships clad in mist, known as the "Fleet of Fog," begin to appear throughout the world's seas, attacking humanity's warships with their powerful superweapons. Humanity threw all the military strength it possessed at the Fleet of Fog in a decisive battle, but was crushed by the fleet's overwhelming might. The Fleet of Fog imposed a blockade on all the Earth's seas and travel routes, governments and economies were destroyed, and mankind was on the road to ruin. Now, seven years after that battle, the military cadet Chihaya Gunzou faces one of the Fleet of Fog's submarines, the I-401, and its avatar, Iona. What will this meeting between the I-401 and Iona, supposedly enemies, bring to Gunzou and to all of mankind? 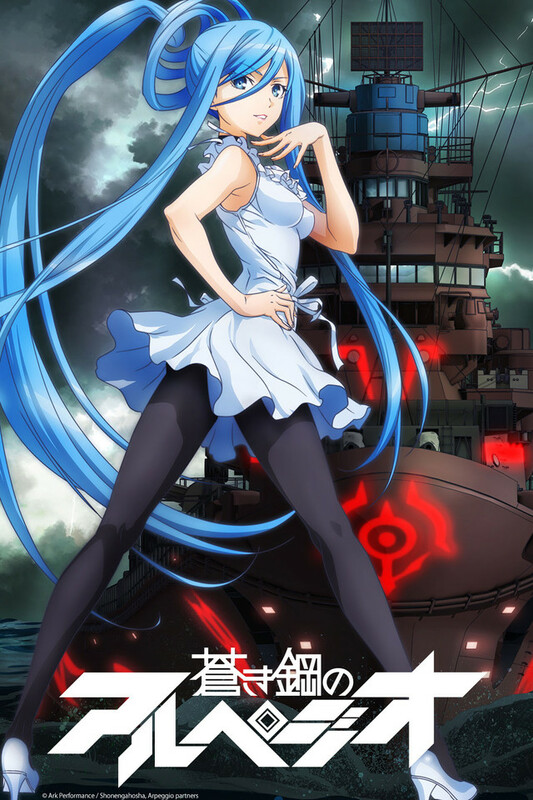 Check out the manga for Arpeggio of Blue Steel, now available from Seven Seas Entertainment!